Autodesk always hands out end-of-year deals to upgrade each year in January. The Autodesk Civil 3D bloggers get back to Civil 3D basics. Folks at Autodesk get a bonus if the offer works. It usually does. Been there. Done that. Got my tee-shirt. To Autodesk the end of year financial report and shareholder value is king. Deal or no deal the upgraded customers discover quickly they will need Civil 3D templates and Civil 3D styles that work. The example Autodesk templates and styles are ok for show and tell. I do argue they aren’t even an acceptable place to start a customization. What do I know? Given the rather upsetting answer and after a bit of sputtering denial, they do a Google search and find the Framework for Civil 3D. I feel very sorry for those that don’t. After the recent Autodesk sales process experience they are often bit befuddled by the Framework. You can buy and try the real thing for $25. We have customers who employ Templates Only every day who are happy returning customers. The supplied templates, styles, and resources work. Is an extra $25 a seat for a Civil 3D that actually works out of the box a no brainer? “They said a Civil 3D customization would cost _____ ! That’s true. If you want something specially built just for you, you should certainly pay for it. However, as a case in point - Most of us don’t pay to have custom cars built for us these days. We believe in options not from the ground up customization. We charge customers for tweaked and maintained versions of the Framework for Civil 3D too. Ok. We don’t usually charge that much. Most Framework for Civil 3D customers don’t choose our customization and maintenance option because they simply don’t have to. For the most part they get more options than they need. We are happy to tell them that up front. Do their Civil 3D Templates and Civil 3D Styles do this? We are able to provide in-depth choice, and whole lot of preference right out of the box in Jump Kit. The continuous development of the Framework is what we do. We’ve worked for lots of Civil 3D customers for many years. That focus shows in the Framework’s nuanced details and production results. Check out the Preview Videos. Civil Engineers and Surveyors need to get real work done and not customize software. Our goal: Allow you to focus on your professional work that matters. 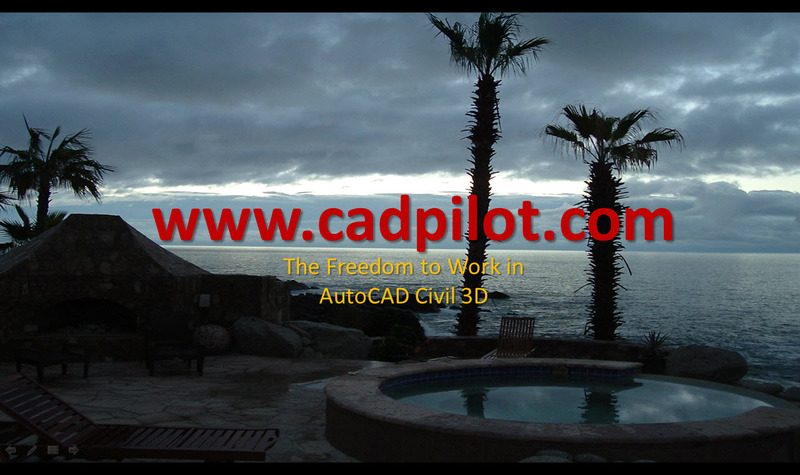 To learn and implement AutoCAD Civil 3D in production is challenging. Perhaps Civil 3D is inherently overwhelming in the beginning. Civil 3D templates and styles that work may be the most important thing new Civil 3D users need to succeed at that. You should not have to pay anyone big bucks to reinvent the wheel for you. Civil 3D has been in production use is a lot of places for years and years. We been at the Civil 3D template and styles thing and nothing else since 2008. For everyone else it’s a part-time job. Most sell the Civil 3D software and the best ones also actually support it. Did they offer you a trial test drive? Do they support multiple releases of Civil 3D? Did they guarantee up front that their customization would upgrade to the next release? Did they show you documentation? Did they discuss and show you what the maintenance would cost? Did they offer to supply you with innovative tools to improve and maintain their customization? Did they offer to supply you with a totally integrated training dataset? Is their offer both Affordable and Sustainable? Truth be told, you’d might be surprised how many folks employ renamed versions of our work. This is not a surprise if you know a bit of Civil 3D history. Our free Civil 3D template products were/are the most downloaded products for AutoCAD Civil 3D in history. I’m flattered. I’m befuddled too. Some better Autodesk Resellers do. Together we can all make the Framework for Civil 3D even better. Our public and curated Civil 3D video training pages feature videos from a number of Autodesk Resellers and their staff. We post good content whether the creators support the Framework or not. If you are new (or experienced) in Civil 3D, you recognize that we need all the expert advice and helpful reminders that we can get. Register and become a Member. Get access to more Civil 3D training and comprehensive Civil 3D written help on many diverse topics. Our public pages are only the first part of the story.